First time on CD & Digital, includes rare and previously unissued material! Allen Ginsberg began “tuning” William Blake’s poetry in 1968 (inspired by attending the tumultuous protests at that year’s Democratic Convention in Chicago), but the origin of the album dates back to a 1948 vision or “auditory illumination” as he called it, of William Blake reciting poetry to him in his Spanish Harlem apartment. Moved by this, Ginsberg began to set Blake’s poetry to music. In 1969, he began recording musical versions of Blake’s poetry with Peter Orlovsky, and jazz legends Bob Dorough, Don Cherry, Elvin Jones! 19 of those songs were released the following year as Songs Of Innocence And Experience. That material finally arrives on CD and Digital as The Complete Songs Of Innocence And Experience in 2017. In addition to the original LP, 2 previously unissued tracks have been added: an alternate take, as well as a song intended for the LP, but left off due to time constraints. But, that is not where the story ends. In 1971, Ginsberg returned to the Blake material, recording 11 songs in San Francisco with avant-garde cellist Arthur Russell—four of which were never issued. The ensemble also recorded 3 Tibetan mantras with a Buddhist choir—resulting in a full on psychedelic East-West experience—also all previously unissued. This material comprises a second CD, truly making this complete. With restoration and mastering from Grammy®-winner Michael Graves, the material sounds timeless. Complied by producer Pat Thomas (who also worked on 2016’s The Last Word On First Blues box set), this double CD package includes a new essay from Thomas, who tracked down several of the original musicians (never before interviewed) for this project uncovering rare session photos as well. 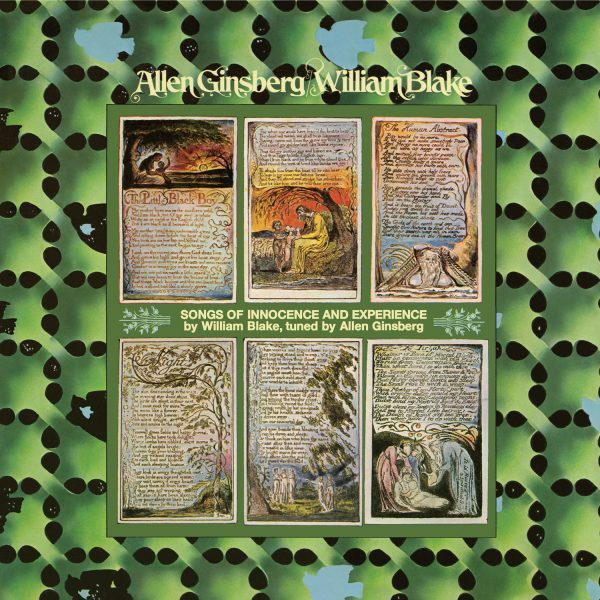 Blake’s writings from the late 18th century and Ginsberg’s interpretations from the 20th come full circle in the 21st century’s The Complete Songs Of Innocence And Experience.